Current farm activities at Apley are weaning the cows & calves, housing them for the winter & finishing off the last few bits of corn drilling. When all the cattle are housed the calves will be vaccinated against pneumonia & treated for gutworms. 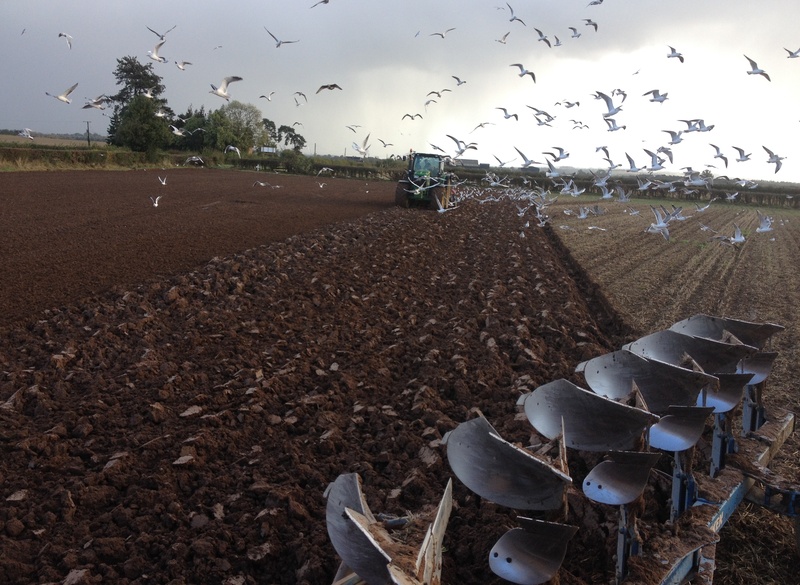 This is Adrian Joynt’s great photo showing ploughing & drilling winter oats amidst a cloud of sea gulls !